As a result of Iraq's invasion and occupation of Kuwait, refugees from Iraq began moving into north eastern Jordan. The border check points were not equipped, particularly during August-September 1990, to either cope with the crisis or begin registration and organization of camps. It is estimated that 1.38 million refugees entered Jordan between 2 August 1990 and 2 March 1991. What was of further historic significance was that about 1.8 million heads of sheep, goats and camels moved into Jordan along with the refugees, owing to the fact that in the shared rangelands of Jordan, Iraq and Saudi Arabia, herders are the main inhabitants. There was a further compounding effect. 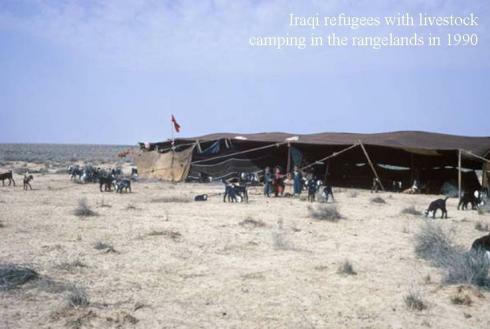 It was August when the refugee herders and their animals moved into the rangelands. With it being the dry season with very sparse scrub vegetation in the Badia (rangelands), the herders had to quickly disperse over a vast territory to ensure enough grazing for the animals. As a result, very large tracts of Badia were quickly affected and shrubs that take decades to grow and stabilize were degraded and destroyed in a matter of weeks and months. Reduction in the numbers of endangered oryx and gazelles released from captive breeding programme due to the density of refugees and their livestock. The Hashmite Kingdom of Jordan was awarded US$160,582,073 under claim 5000304 for rangeland restoration and the development of a cooperative rangeland management programme. 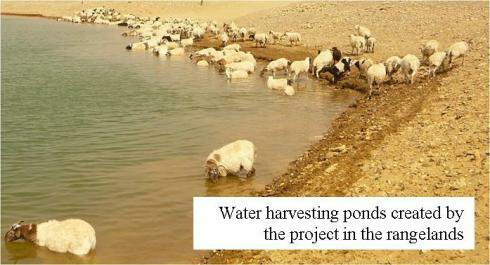 Following numerous revisions, Jordan NFP submitted a Community Action Plan (CAP) to the Governing Council in 2013 that was supported by the Secretariat and the Independent Reviewers. During the refugee influx, the natural population of oryx and sand gazelle suffered from illegal poaching and human intervention into their habitats.